The Kim-Trump Singapore Summit, Will it Take Place? 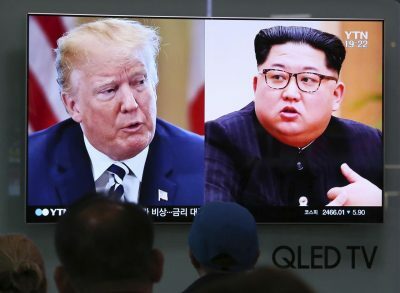 What is unfolding is a process whereby US intelligence is playing a key “behind the scenes” role in setting the stage for the Singapore Summit, with a view to ultimately enforcing and sustaining US hegemony in North East Asia. The North Koreans are astute strategists. Will they abandon their nuclear weapons program in exchange for empty “American promises”? What the U.S. seeks is to establish a Worldwide hegemony (monopoly) in the ownership and use of nuclear weapons, supported by a 1.3 trillion dollar nuclear weapons program. Under these circumstances, the unilateral denuclearization of the Korean peninsula does not ensure the security of the Korean nation. Quite the opposite. The power of deterrence has been lost. The US can continue to threaten Korea, it can launch a pre-emptive nuclear attack directed against the Korean peninsula from naval and well as land-based military facilities in different part of the World. The “denuclearization” of the Korean peninsula concept is being used by Washington to enforce the unilateral abandonment of the DPRK’s nuclear weapons program without any meaningful counterpart obligations by the US including the withdrawal of U.S. forces from South Korea.